One woman wrote to me on Facebook that she is an atheist and skeptic but can’t understand why I can’t see that Henry is the real thing. Normally I answer by explaining that the burden of proof lies on the person making the extraordinary claim. If he can communicate with the dead, then he would be breaking the laws of physics, and it is up to him to prove he can do it. The default is that he can’t. But for some reason this statement never satisfies believers. They want me to disprove him, show that he is faking it. This is something that I really can’t do; I can only show that there are much simpler ways to do what he appears to be doing—communicating with the dead. Cold-reading or hot-reading techniques and clever editing are all more reasonable possibilities, and they don’t require unproven explanations. Finally, one day someone answered me when I asked for their best evidence of why they believed that Henry can communicate with the dead. Something specific, and not just because he has a great smile. She told me that Henry told actor Alan Thicke that he had heart issues. She said, “No way could Tyler have predicted Thicke’s death from heart failure unless Henry can talk to the dead.” That is something I can look into; a specific claim is being made. Did Henry predict Alan Thicke’s death? Luckily, for just a few dollars and an Amazon Prime account, and the benefit of pause and rewind on my computer keyboard, I could look into the details of the reading. There were two main parts of the reading; at least that is all we see on the show. Remember the editors want to show the best parts, only the hits. The parts that weren’t exciting would be cut out. If Henry had received hit after hit, then this would have been saved for a special release. Always remember that the editors can make magic happen. The first half shows Henry reaching Isadora, who is Thicke’s grandmother. And the second half of the reading concerns Henry telling Thicke that there might be some heart issues he should check into. So, let’s stop right here. I need to make sure you understand that two months or so after this reading, Alan Thicke died from heart trouble. The Internet lit up with the news that a psychic predicted a death, and the E! Network, with the type of compassion known only to profit making ventures everywhere, decided that they could best honor the memory of Alan Thicke by giving his family privacy while they grieve. NOPE. 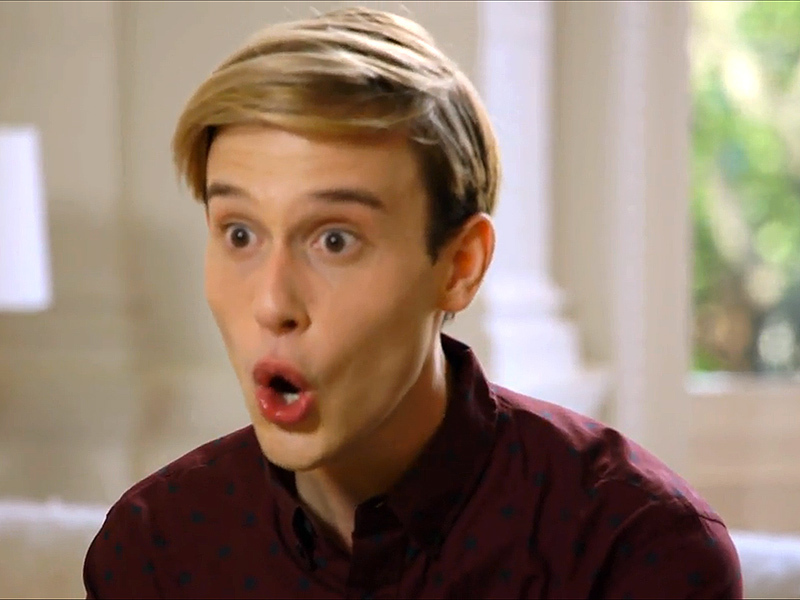 Instead they sent Tyler Henry back to the home, on the two-month anniversary of his death, to show his widow the video of the reading and talk about what Alan was doing in the afterlife. Yep, really classy. 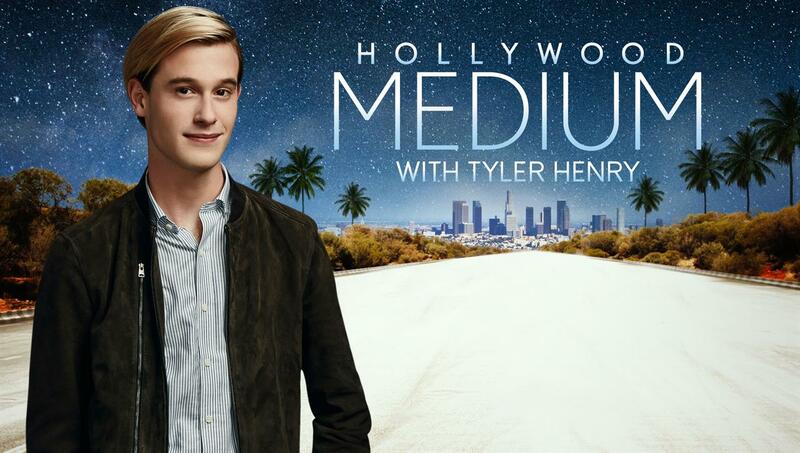 Well to Tyler Henry’s fans, this is a kindness: giving his widow peace and helping her to grieve. How can someone like me fight against that? I come off looking like a person who robbed a cancer victim. How dare I take that away from the widow. How dare I dismiss her pain. Why do I get to determine how she gets to grieve? If she wants to believe that her husband is still around her, watching and sending his love, then what kind of villain am I to say otherwise? I get it; I’m no fun at parties either. If someone is really dealing with grief, then there are people who are trained and licensed to talk to about this. If they don’t want to participate in grief therapy, then at least they can talk to friends, people who aren’t going to put your grief on the E! Network, all over their promos, and use it for their own financial gain. Let’s review what really happened. Did Tyler Henry predict Alan Thicke’s death from a heart condition? Did Tyler Henry contact Thicke’s grandmother? Well … other explanations are more likely. Henry was sitting across from Thicke on facing couches, across from Alan Thicke who appears to be 65–75 years old. Henry knows that Thicke wants to hear from someone that he was close to and has sitting nearby a pair of glasses (Henry uses personal objects from the departed to focus on). What we and Henry can tell are that these are old glasses worn by a woman … maybe it was Thicke’s daughter’s second grade teacher who died last year? No, Henry is hearing from an older woman, and he is getting “grandma, grandma, grandma.” The camera all this time stayed on Henry’s face, so we do not know if Thicke was nodding his head in agreement and giving feedback. So, when Henry said, “She is on your mother’s side” and received a “Yes” from Thicke, are we surprised? The odds are 50/50, and with some feedback from Thicke it wouldn’t be hard to guess it. Henry gives a bunch of general statements about her personality; the same kind of statements everyone wants to be true about themselves and about someone they really loved and miss. It tells us nothing about accuracy but made Alan feel good. Henry went on: She is creative, amazing, and “could have lived twenty more lifetimes,” intense, strong, high-energy. All along Thicke was nodding and giving back feedback, giving Henry clues that he was on the right track. Next came a statement that seems really specific: “I’m seeing a piano bench, and I’m sitting on the bench and this woman is putting sentimental or significant value around this. Do you know of anyone on your mom’s side that played the piano who would fit that bill?” This would have been the 1930s or ‘40s. According to the LA Times, “The piano has been the center of many American homes for generations, not only a proclamation of a love of music but also often a statement about striving for success.” And in the 1930–1940s this would have been very common. http://www.latimes.com/home/la-hm-pianos16-2009may16-story.html So for Henry to claim he saw a piano in a house that Thicke grew up in, or had access to, was a safe bet. Note Henry did not say that he saw Thicke’s maternal grandmother Isadora playing the piano; he only said he saw an older woman and then asked, “Who might that be?” There is a big difference between those two statements. Thicke went on to tell Henry all about his grandmother, Isadora. Thicke seemed to think that Henry had shown him the proof he needed, he says “You killed that one—wooo you crushed it!” And Thicke really can’t be blamed; it all happened very quickly. He was primed to think that Henry is the real deal and did not have the ability to pause and replay as I do sitting in the quiet of my office. Thicke had not been following and viewing these kinds of readings for years, as I have. I’m going to speculate further and state that Thicke does have a potential motive to participate in a positive way. If Thicke did not get excited about the reading, then the show may not have aired. There would be no free publicity for Thicke. And his wife, Tanya, would be disappointed. Speaking of playing to Tanya, this bit is so precious: Henry claimed that Isadora said that she saw a wedding and was giving her congratulations; it was a wedding she was unable to attend. I wonder whose wedding that might have been? Tanya, who is quite a bit younger than Alan, kept talking about how they plan on having a baby together, so she must be younger than forty. Thicke was born in 1947, which probably means his grandmother was born in the 1880s to 1900. What are the odds that she would not have been alive when Thicke married his third wife? Wikipedia says that he married Tanya in 2005, which would have meant that Isadora would have been 105–125 years old if she had been alive to attend the wedding. Not very likely. Henry made a safe bet, and Tanya was thrilled with the news that Isadora has blessed their marriage. Interesting that Isadora didn’t have any news for her great-grandchildren or a warning that her grandson was about to die two months later. Considering that the second show on the Thickes was promoted on E! that Henry did just that, I think Isadora could have been a lot clearer with her warning. Now comes the part of the reading where all the believers are so sure that Henry predicted Thicke’s death. Let’s look at a transcript to make sure we aren’t missing anything. Henry: For the men in your family it’s important to take into consideration something we really have to keep in mind. Heart issues are not uncommon in men, thing is (pause) I don’t know where to start? Henry: When it comes to a family gene perspective, it’s possible that within your family that there may be multiple men who at a later age have to deal with a blood pressure issue, but also with a heart murmur or heart arrhythmia, but I have to go to heart which correlates to blood pressure. So, keep that in mind, I have a couple people passing on a similar sense saying keep in mind your own heart. There is a man who is very stubborn who passed away, he acknowledges dying because of a heart problem. His message is don’t be stubborn like I was … it could have been treatable if we had known about it. Thicke then told Henry that there are no known heart problems in his family other than his sister who had surgery but is doing well. Then Thicke said “Thank you Doctor Henry, I’m going to take that to heart.” Henry then threw back his head, and laughed. I’m mentioning this because it seems so heartless (pun intended) that if Henry REALLY thought that Thicke’s heart would give out only a couple months later, he should have been less flippant about it and actually very stern. And that was it, nothing much other than a warning to keep an eye on his blood pressure. Keep in mind that Henry was again playing the odds. The number one cause of death for American males? You guessed it: heart disease. If the Thicke family had a history of deaths or illnesses from heart complications, then mentioning this in the reading would have been an even better fit. She and Henry went for a walk around the ranch, and Henry said that he is seeing a “sun symbol,” and Tanya takes that to be a message from her husband. “I thought I would never see the sun shine again.” Which is a hit in Tanya’s mind and just something vague that would have hit no matter what in my mind. Henry then asked her if there was a Florida trip planned. Tanya had a very strong reaction and told him that her husband had planned a surprise trip to Florida with their friends. Sounds like a hit. She seems to have forgotten that only four months ago Henry and Alan had a long conversation, and it was not unlikely that Thicke mentioned that he was planning this vacation. Cindi is the expert. There is no right way to grieve. Personally, I’m disgusted that grief vampires exist to prey on grief and exploit them as E! and Hollywood Medium do in this case. But if this really helps the widow of Alan Thicke then it is none of my business. I am only able to comment on the Thicke’s experience with Tyler Henry because they choose to be public with the story. My intent with this investigation is to show that there is no evidence of any communication with the dead is happening, everything that was said was general, or edited. If this is such a great case of prediction of someone getting a call from the “other side” to get your heart checked out, then why was it so vague? Is Hollywood Medium blaming Alan Thicke for not taking Henry’s reading seriously? Obviously, this is a controversial issue; education is important, if someone wants to use psychics for grief counseling then that is their choice. What I believe is that there should be more articles like this one in case people are looking for a second opinion about such an important moment in their lives. Thank you to Rob Palmer for his help with this article. How can someone claim to be an atheist and believe someone who says they speak to the dead is genuine ? Surely that's a contradiction in terms. Facebook lady is either lying about being an atheist in order to try and lend more credence to her post on a skeptics page or she is the most stupid of fools or perhaps both.